Let’s defend human rights together – Become a member now! Everyone’s human rights are not fulfilled in Finland. 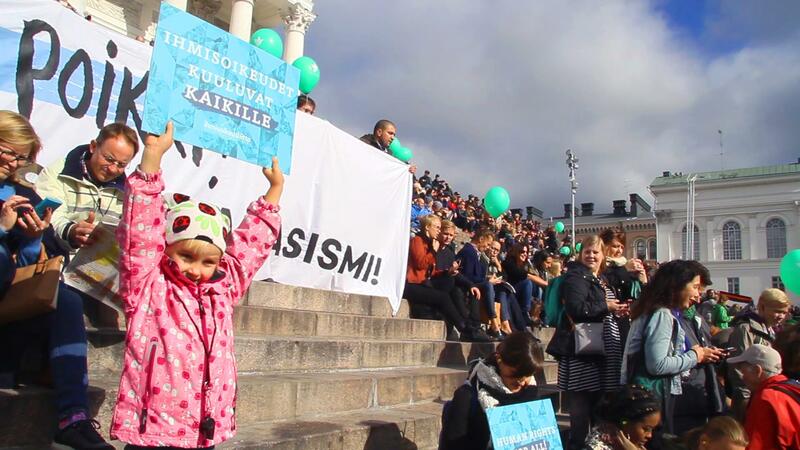 As a member of the Finnish League for Human Rights you support directly human rights work in Finland and help to ensure a fair and equal society for all of us. You can join easily by filling in the form below. The membership payment for the year 2018 is 40 € for working people and 15 € for others. Why join The Finnish League for Human Rights? Your membership enables long-term human rights work. Human rights do not just simply fulfill by itself. They need to be defended and promoted every day. We train and campaign against discrimination and racism. For example, we work hard to get the Finnish parties and individual politicians commit themselves more vigorously and genuinely to tackle racism. We influence the authorities for fulfillment of human rights. One example of the results of our persistent work is the police have taken a tougher grip on identifying and preventing hate crimes. With your help, we can investigate and monitor for example do rights to health, accommodation and adequate livelihood fulfill in Finland. We remind the decision-makers that these are fundamental and human rights and that they cannot be bypassed even during the tougher economic times. As a member, you can participate in the members’ events, you receive regularly information about the current human rights work and can affect the human rights in a manner suitable to you. By joining The Finnish League for Human Rights, you will join the group in advocacy of human rights and against the growing hatred and inequality. You can join easily by filling in the form above. After receiving your information, we will send you a letter with detailed instructions for the payment. The Finnish League for Human Rights (FLHR) is a general human rights organisation that monitors the overall human rights situation in Finland. We defend fundamental and human rights, demand their fulfilment, and bring to light human rights violations in Finland. Our work is based on the United Nations Declaration of Human Rights, international human rights instruments and the fundamental rights guaranteed under Finnish Constitution. Our core principle is that human rights belong to everyone. For more information on membership and the activities of The FLHR, send email to info@ihmisoikeusliitto.fi. You can check out our current activities here on our website or on Facebook, Twitter and Instagram.